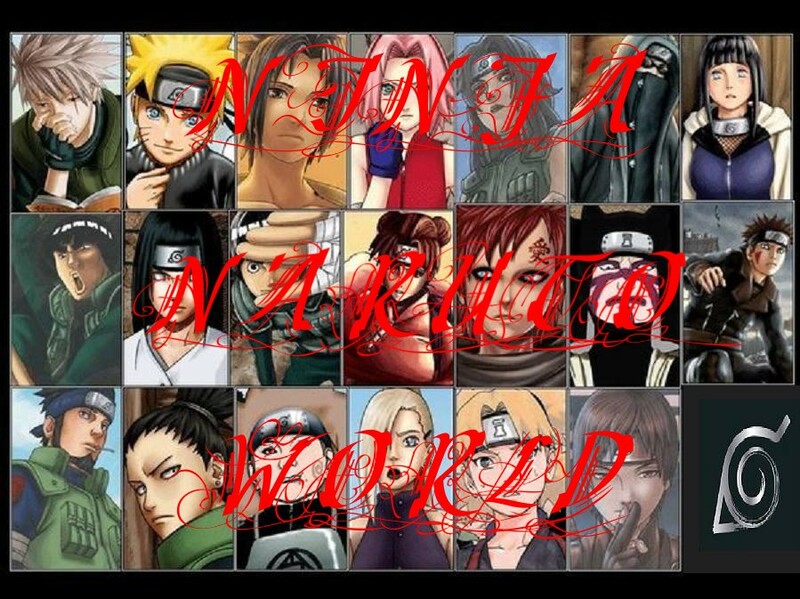 Occ: Me and Des started a death note story on my sucky naruto site but we had so much fun making up love stories with all kinds of naime's including a few of our own that we made up. Yes we have our own manga. Maybe one of these times I will post mine and Des's manga up once I ask des if its ok. ^^ I hope you like our crazzyness. Hi my name is Mirai Mizaki. 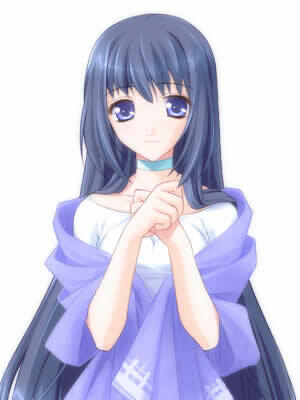 Mirai Mizaki: *she smiles* hay Ume lmost ready for the show??? 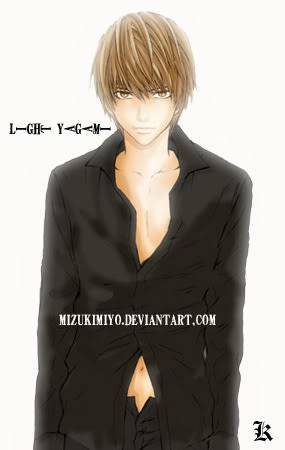 Mirai Mizaki: *She blushes* light is going to be watching us!! urg why do I always blush when I hear or think of him??? Ume Nakamura: *teasing tone*cuz u ♥WUB♥ him!!!!!!! 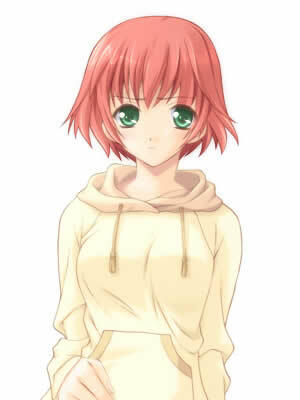 Mirai Mizaki: *blushes bright red* no I don't love him! hes only our friend remember!! besides he has that misa girl and I don't think she likes us to much!!! Mirai Mizaki: *laughs* but she looks at us like she wants us dead. Mirai Mizaki: *smirks* yea we could turn her into mesnmeat *pulls out my wrist blades and puts them on and makes them pop out* yea I would use these on her if she tried!!! plus I'm going to wear them and I think there cool!! don't you??? 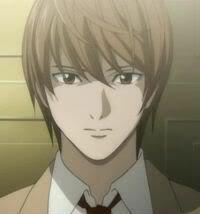 light: sure but im kinda doing something in a little bit..
L:*looks at him questionalbe with his finger to his mouth with his head cocked to the side* I see but I do need to speak to you it about the kira case. could I join you then??? 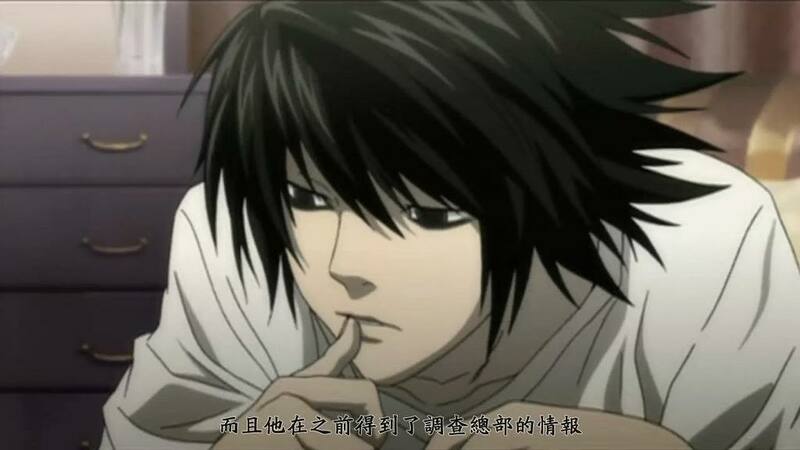 L:*looks at him questionalbe with his finger to his mouth with his head cocked to the side* alright Light. what time is the concert??? L:*looks at him questionalbe with his finger to his mouth with his head cocked to the side* hmm alright *pulls out a piece of candy and starts to eat it* who's your friends??? have I ever met them??? 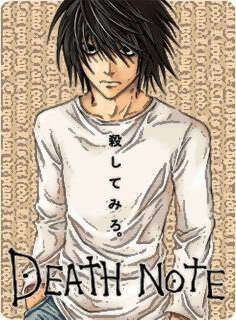 L:*eats another piece of candy* ohh I see. does it brother you that I'm tagging alone light?? ?